Beautiful, slow roasted tomato and capsicum pasta sauce, seasoned with plenty of rosemary. Because summer brings so many tomatoes and capsicums at once, I cook them all up into a pasta sauce and freeze batches in ziplock bags for later use. These take up hardly any room in the freezer because you can stack the bags on top of each other. 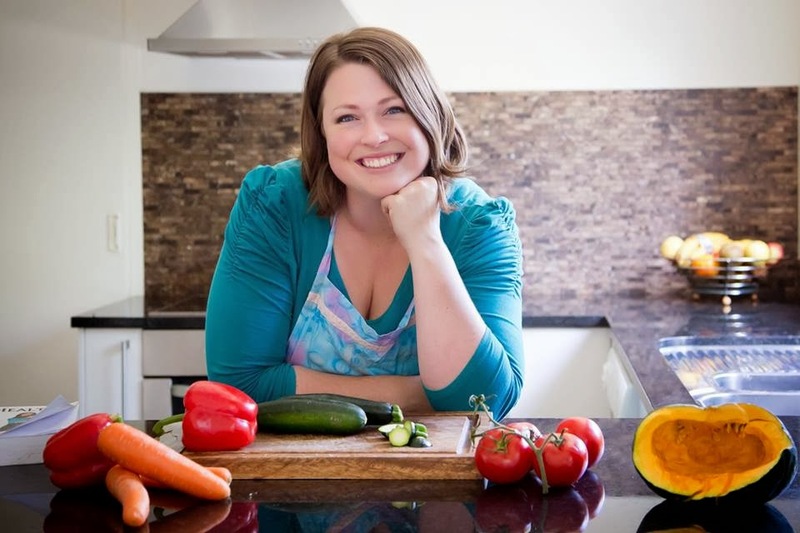 This recipe is from Annabel Langbein's Eat Fresh. Mix olive oil and tomato paste with the seasonings. 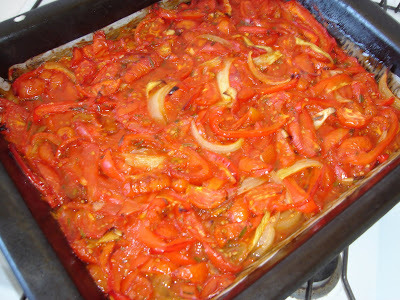 Cut the onion, capsicums and tomatoes into thin wedges and mix through the seasoning mixture. Pour the whole mixture into an oven tray and cook for 1.5 hours at 160° Celsius (320° Fahrenheit). The ingredients should be starting to caramelise when the sauce is ready. You can eat the sauce as is, or puree it. Both are lovely, but I prefer it chunky. I did puree it once and mix some with dukkah to make a dip for crackers. That was delicious!